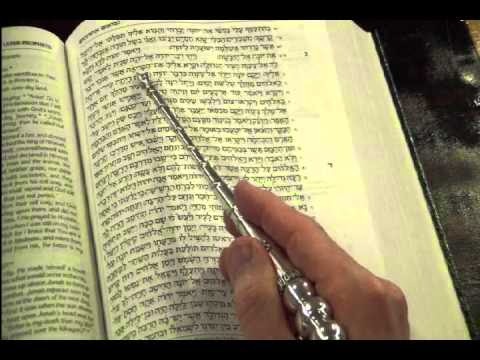 Yom Kippur, or Day of Atonement is the holiest day in the Jewish calendar. Fasting Jews gather to worship in their synagogues. Of all the sacred scripture available to them, they read the book of Jonah on this day. Why? The main message of Jonah is that God's gospel is for ALL people and that no matter what your mistakes may be, if you return unto Him there is mercy and forgiveness waiting. Today's lesson focuses on the Book of Jonah and its relevance to us today. We will also study the words of the prophet Micah. Jonah 1:1-3 it's a fair assumption that Jonah was not singing "I'll Go Where You Want me To Go" when he received his mission call. Why not? What made a prophet of God turn down his mission call? Ninevah is right on the banks of the Tigris in Northern Iraq. Ninevah is on the opposite bank from where modern day Mosul is today. Going there, as it is today, would have been fraught with danger. From an earthly perspective, it is no surprise that Jonah decided to get on a ship and head in the opposite direction toward Spain. But it was not the danger of the mission that turned Jonah away from his proselyting duties. Rather it was Jonah's worry that these heathens, who had caused his people so much pain, would be forgiven and given the same gospel blessings he had. He wanted to see Ninevah destroyed. Read Jonah 4:2 Why did he flee? Because he knew that God was a "gracious God, and merciful, slow to anger, and of great kindness." This is quite amazing from a prophet and shows that Jonah is not really understanding of the true power of the Atonement. The Atonement was not a demonstration of God's love for his chosen people Israel. The Atonement was a demonstration of God's love for EVERYBODY! (cf. John 3:16) Jonah did not understand this. He was angered that those not "chosen" could be shown mercy and salvation. Jonah believes that sinners should be punished. It is a thought prevalent among all religions today including our own. Sinners should be punished. But the Lord believes sinners should be given a chance to repent and shown forgiveness. For all our cries of justice, the Lord ever answers with mercy. So in fleeing, Jonah is declaring he wants nothing to do with a God who will not punish people. Why was Jonah swallowed by a great fish? Many will suggest it was punishment. NO! 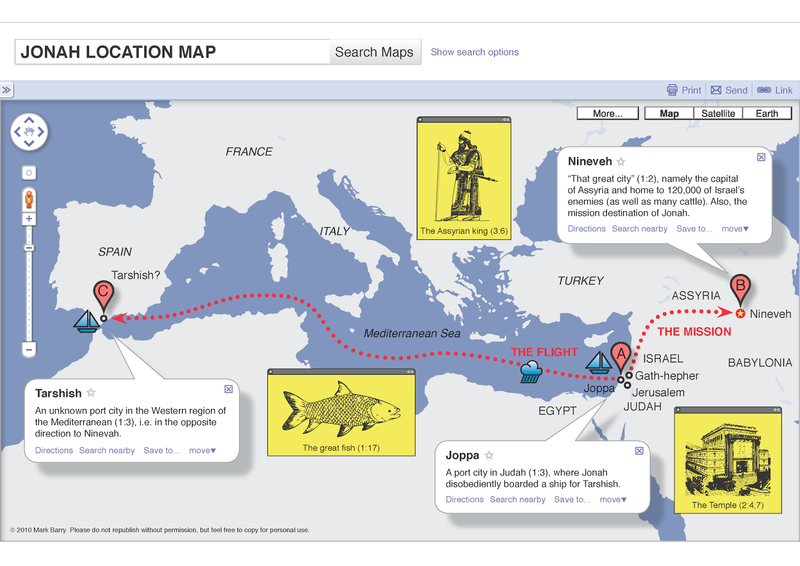 The great fish was a means of salvation for Jonah. Rather than a punishment the great fish saved Jonah. Jonah was shown mercy by the Lord and by the sailors who tried everything they could to save him. Jonah 1:17 The Lord had "prepared" the great fish. Jonah sat in the belly of the fish for three days and three nights. Imagine, being in the belly of a fish in the depths of the sea, trapped. Would you really think you were going to escape? You are waiting to die. You are as good as dead - living but as good as dead. 3 days Jonah experienced this only to be delivered on dry land. What should that teach us about the Atonement? Surely it teaches us that no matter what depths you plunge to, no matter what darkness you become a part of, no matter how long you are gone, you can still be delivered! Jonah got that lesson. At least on a personal basis. He cried unto the Lord in his darkness and he was rescued. The lesson he did not get was no matter who you are...you can be rescued. As Latter Day Saints I think we are all aware of the saving graces of the Atonement in our own personal lives. But do we sometimes judge and discern for ourselves who is and who isn't worthy of that Atonement? Have you held back from sharing the gospel with a neighbour because they are just not the type? Have we given up on a less-active because they just don't appreciate it or make it difficult for us to do our duty? Do we sometimes react like the elder brother of the prodigal son when the Father's mercy and love enfold the repentant, quietly wishing our consistent righteousness would be noticed more? No, he who has virtually everything, and who has in his hardworking, wonderful way earned it, lacks the one thing that might make him the complete man of the Lord he nearly is. He has yet to come to the compassion and mercy, the charitable breadth of vision to see that this is not a rival returning. It is his brother. As his father pled with him to see, it is one who was dead and now is alive. It is one who was lost and now is found. Who is it that whispers so subtly in our ear that a gift given to another somehow diminishes the blessings we have received? Who makes us feel that if God is smiling on another, then He surely must somehow be frowning on us? You and I both know who does this—it is the father of all lies…It is Lucifer, our common enemy, whose cry down through the corridors of time is always and to everyone, “Give me thine honor.”"
Jonah, for all his weaknesses was a prophet of God. His record is not here for us to condemn him, but rather as a reminder to ask ourselves whether we are active messengers of this gospel of mercy or whether we withhold it for those whom only we deem prepared and worthy? It stands as a true testimony of God's love for all - a witness that God's mercy and love, his Atonement, covers ALL who are willing to repent. Compare Jonah 3:1-3 with Jonah 1:1-3. Jonah has at least learned enough to go on the mission he is called to. He decides going to Ninevah is not so nearly as bad as rotting in the belly of a fish for 3 days and nights. He preaches repentance but is thoroughly disappointed when the people of Ninevah repent and are saved. The book of Jonah finishes in a very odd way. It finishes like no other book of scripture - with a question. 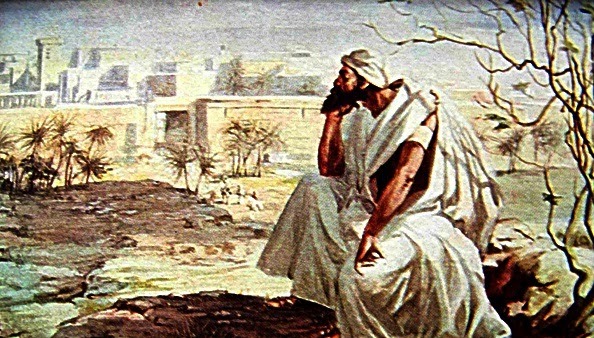 A.The Lord asks "Should not I spare Ninevah?" Remember the point of chiasmic literature is to focus the reader on the central point. Interestingly though the end question here is also asking the reader to consider the books central theme of repentance and mercy. Should God cease being God by not offering mercy and salvation? If Ninevah is not to be saved, who else must therefore not be saved, by the same logic? Jonah's answer is never recorded. It does not matter because the purpose of scripture is to ask the reader the question. Like Jonah, we all must learn that to be worthy of the Lord's mercy we must be able to be merciful. Micah was a contemporary of Isaiah and preached repentance to both the Northern Kingdom of Israel as well as the Southern Kingdom of Judah. Like Isaiah, much of his prophecy has dual meaning, warning the people of his day while also prophesying of latter-day events. Micah 2:1 describes a time when people eat, sleep and breath evil. Even when they sleep they are devising wicked plans to gain property and wealth and power over other people. Despite those perilous times what promises does the Lord make with his people in Micah 2:12-13? How are these promises being fulfilled today? Micah 5:7 How does the Micah describe the Lord's people? How can the image of dew or showers upon the grass be compared to the effects of church members on the world? What does it mean that these dews "tarrieth not for man"? Micah 5:8 How does Micah describe the Lord's people? What does this image suggest about the strength and power of the Lord's work? Who could stop it? “No unhallowed hand can stop the work from progressing; persecutions may rage, mobs may combine, armies may assemble, calumny may defame, but the truth of God will go forth boldly, nobly, and independent, till it has penetrated every continent, visited every clime, swept every country, and sounded in every ear, till the purposes of God shall be accomplished, and the Great Jehovah shall say the work is done” (History of the Church, 4:540). That seems like a lot to live up to? Does the load seem heavy you are called to bear? How might Micah 6:6-8 be a comfort to those of us who can feel overwhelmed? Do justly, love mercy, walk humbly with God. That's it. And in return we have a God who will love us and show mercy to us. Micah 7:18-19. So today we have discussed how the Atonement and God's mercy covers EVERYONE who wishes to repent and embrace the gospel message, we have spoken of how in the Latter-Days we will be called to help spread this message and gather in those who wish to hear this message. The message is a simple message. Elder Russel M Nelson described it as a message that was announced 194 years ago with just seven words: "This is my Beloved Son, Hear Him". Whatever age we are, whatever we do in life, whatever our circumstances, we can share this message. It does not have to be forced or contrived. We just have to be willing to go where he wants us to go, and do what he wants us to do and say what he wants us to say. His message is a message of love and compassion and mercy and it is a message for everyone. "A family moved into a house near us. The home was new, so I was part of the crew of Latter-day Saints who spent a number of nights putting in landscaping. I remember the last night, standing next to the husband of the family as we finished. He surveyed our work and said to us standing nearby, “This is the third yard you Mormons have put in for us, and I think this is the best.” And then he quietly but firmly told me of the great satisfaction he got from membership in his own church, a conversation we had often in the years he lived there. In all that time, the acts of kindness extended to him and his family never ceased because the neighbors really came to love them. One evening, I came home to see a truck in his driveway. I had been told they were moving to another state. I approached to see if I could help. I didn’t recognize the man I saw loading household things into the truck. He said quietly as I drew near, “Hello, Brother Eyring.” I hadn’t recognized him because he was the son, now grown older, who had lived there, married, and moved away. And because of the love of many for him, he was now a baptized member of the Church. I don’t know the end of that story because it will have no end. But I know that it begins with love."